Adobe InDesign is a desktop publishing and typesetting software application produced by Adobe Systems. It can be used to create works such as posters, flyers, brochures, magazines, newspapers, presentations, books and e-books. When you collaborate with Adobe Digital Publishing, Indesign enables graphic designers and production artists to publish content suitable for tablet devices. It also supports export to EPUB and SWF formats to create electronic books and other digital publications. 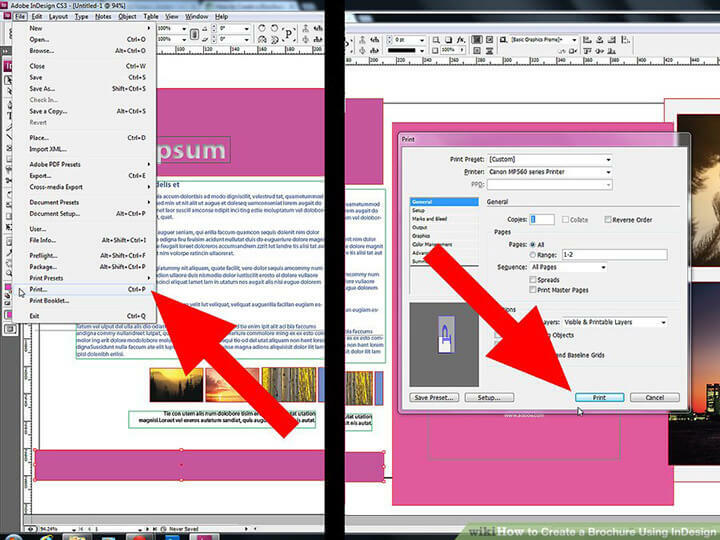 In short, Adobe Indesign enables users to create desktop publishing projects easily. It offers a variety of templates that you can adjust accordingly. Brochure is a widely used marketing printed tool by most businesses. Also referred to as pamphlet, a type of leaflet. It is used in advertising mainly to announce a new opening or soft launching, price promotions, introduce a new product or service and the likes. Brochures are often handed personally in malls and other public places like train and bus stations. It can also be mailed or placed in brochure racks in establishments. 1. 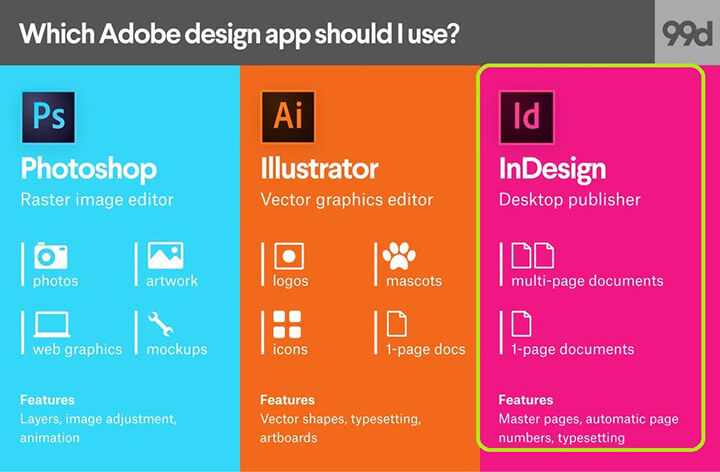 You must have an InDesign software in your desktop or laptop. If you do not have one yet, download it from the web. Once you have it, double-click the icon and it will open to start your project. 2. On the right side of the window, Create New > From template. It will open to Contents > Brochures. 3. Choose a desired template you wish to begin your project with. Tick on the samples provided and you will find the details at the right side of the window. 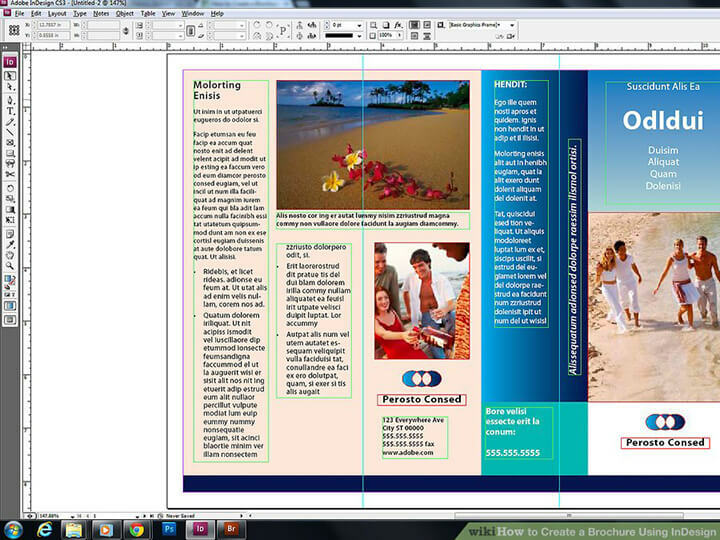 Choose the template which has the number of pages you want in your brochure. 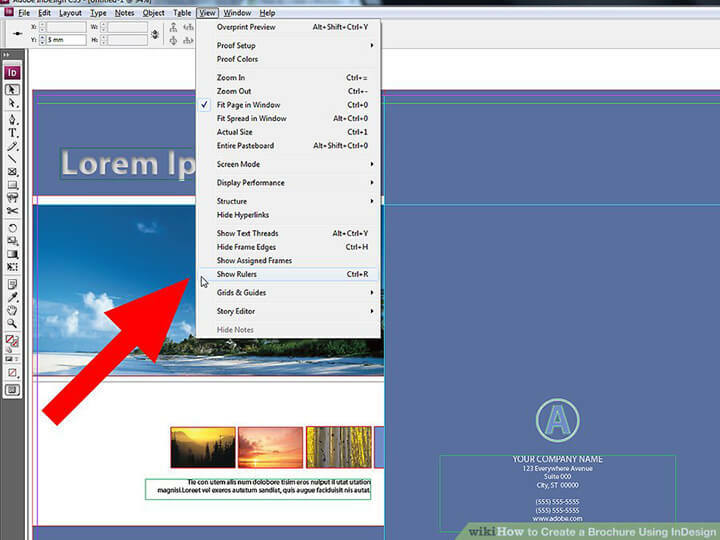 TIP: Use View Options to add frames and guides while working on your project. This will make your editing easier. 4. If you have chosen the standard size of 8” x 11”, note that the pages is split into two. As you scroll down, the next pages were in split as well. 5. The template will have temporary words as guidelines. Double click the boxes to edit. 6. To change the font size and style, go to the right pane of the window, in the toolbar choose Paragraph Styles. Edit and click anywhere outside the box to accept the changes. 7. In inserting photos, click the photo you wish to replace, delete it and replace it with your chosen photo. 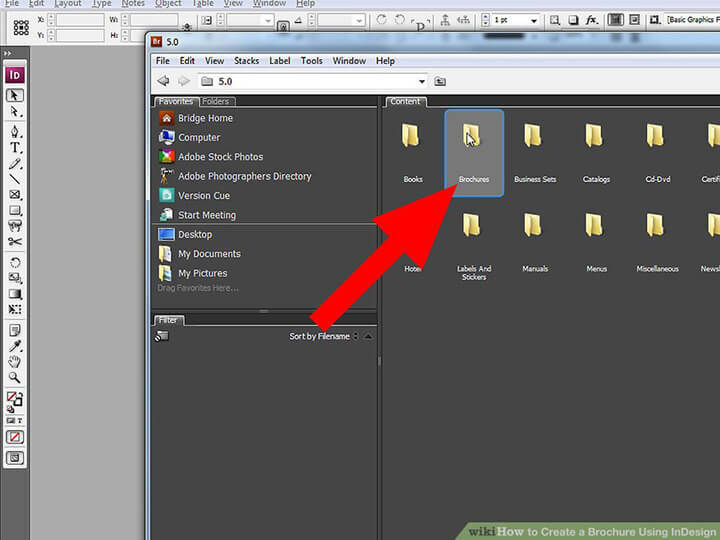 To delete, press Delete in your keyboard and Ctrl + V to paste the copied picture from the web. To choose photos from the library, in the menu bar, File > Place or Ctrl D. It will open to your library. You may Place or simply drag and drop. Resize accordingly. 8. Change the rest of the text boxes and images. Continue to repeat the process until you complete your project. 9. Once your brochure is done, double check your work if everything is in place. Look for some error, check the spelling and grammar and make sure that margins and spacing are enough. 10. To print, simply go to File > Print. It will open a window of Print options. TIP: check the printer if it has the type of paper you have worked on. Tick Print. 11. Go to your printer, get the printed sheet and reinsert it into your printer. Repeat process with the rest of your copies. TIP: do some test pages printing to minimize error. 12. Fold the brochure in half lengthwise. One paper should have 4 pages. 13. 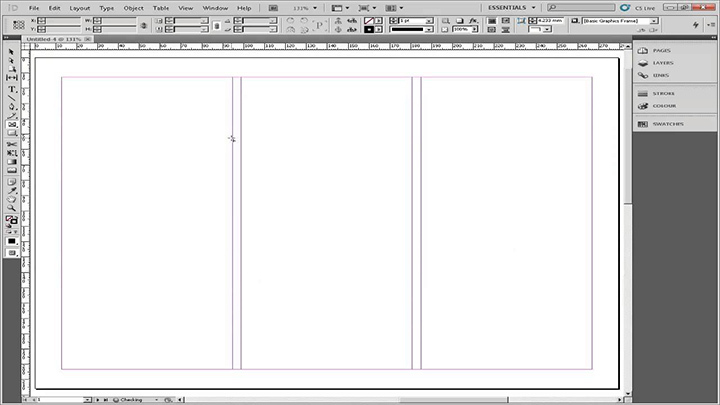 If you want a fresh new design, you may start with Blank and fill the pages as necessary. If you want to create a digital version for your PDF brochure, you can have a trial of Flip PDF digital brochure software. 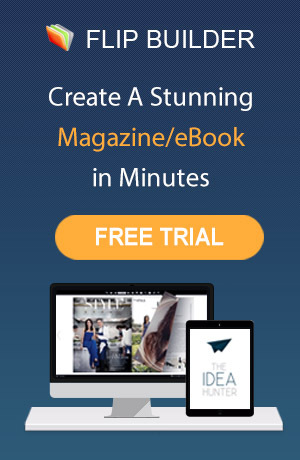 Import a PDF document from your computer, this amazing epublishing tool will convert it into interactive page flipping online brochure.